The last few years have been tough ones for the purveyors of throwback soul and R&B known as Daptone Records. In 2016, their strongest voice Sharon Jones passed away after a long battle with cancer. One year later, the label’s other signature performer Charles Bradley followed Jones into infinity. And just last year, Aretha Franklin, the godmother of a sound that swung between the needs of the spirit and the body, went to meet her reward. With so many cornerstones getting taken away, the folks behind the imprint would be forgiven for letting the whole thing crumble. While more music has arrived from Daptone in and around those losses, 2019 looks to be the year that that Gabriel Roth and Neil Sugarman reasserts themselves and the label in the wake of a tough few years. 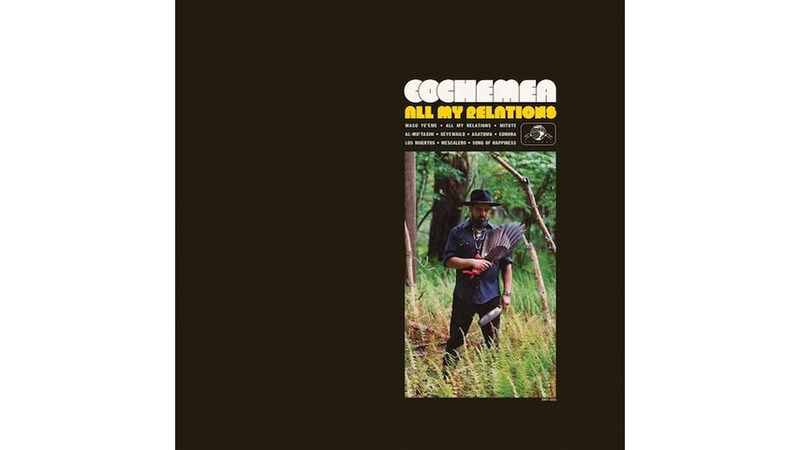 And key to that is the arrival of the second solo effort from Cochemea Gastelum, the saxophonist who was a member of Jones’s crack backing band The Dap-Kings. The album, All My Relations, is the perfect fulcrum point as it is an album that both looks to its creator’s ancestry for inspiration and draws in a number of friends and collaborators like Sunny Jain and various members of the Dap-Kings for what Martin Perna of Antibalas rightly called “a true family gathering” in the liner notes. To move forward, these gentlemen and ladies needed to get together, take stock of their past and how far they’ve come as individuals and as a collective. That mindset translates into a kind of polyglot musical expression on Relations, where the rumble of Native American drums and chanting meets a slow samba groove on the title track, a shot of Lalo Schifrin-style adrenaline is kept in check by Gastelum’s flute and hand percussion on “Mescalero” and Buddhist drone singing and tabla is undercut by a bass clarinet line on “Asatoma.” While only one artist has his name and photo on the cover art, it’s all the other players and their various cultural backgrounds that give Relations its flavor and body. Warm and thoughtful as the intentions behind it, the music on Relations at times skirts close to the territory occupied by those Persuasive Percussion albums that clutter up used LP bins. “Mitote,” for example, features the rumble of various percussion instruments one after the other in a kind of call-and-response that moves from channel to channel like a stereo demonstration record. That section arrives early and is over quickly but deadens the song’s overall impact. As well, some of the sharpest moments on the album, like the snaky sensuality of “Sonora” and the flute and clavinet battle on “Mescalero,” are brushed aside in two minutes or less so they don’t have much time to leave a mark. The vast majority of the album hits a sweet spot where the familial, tribal elements of the album can take root. On those tracks, Gastelum is given room to explore a melody on his acoustic or electric saxophone and whatever combination of player is joining him has the space to settle into a steady rhythm that provides support rather than trying to take the spotlight away.